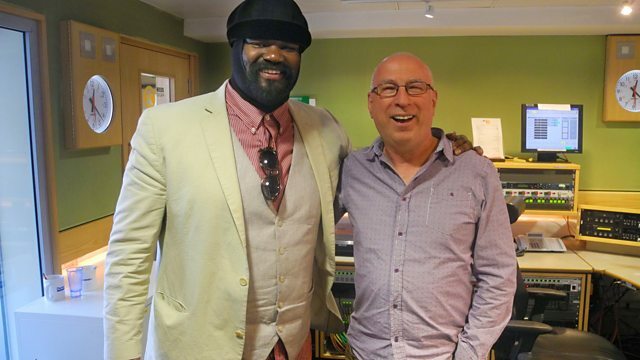 Gregory Porter picks his final Tracks of My Years, with songs from Sam Cooke and Marvin Gaye. Plus the daily Love Song, Record and Album of the Week and PopMaster. Gregory Porter, the Grammy Award winning US singer-songwriter picks his final two Tracks Of My Years, with songs from Sam Cooke and Marvin Gaye. Ken also has the last round of PopMaster for the week and the daily Love Song. Plus there's the Record and Album Of The Week and you can contact the show, just email - ken.bruce@bbc.co.uk. A Time To Remember: 1985 (Various). Heard It On The Radio: FM Hits Vol.1 (Various Artists). New Musik - From A To B...Plus. Top Ten Hits Of The 70's (Various).